After poking around in the leaf litter and climbing into the canopy of the Amazon, it seems we might have discovered a new species of STEM. We affectionately call it by its common name, STEMazon. Although not officially described by STEMologists, we have petitioned to give it a proper scientific name – Stemus amazonicus. STEM, as you may know, is an educational organism that is taking the world by storm. School districts across the country are scrambling to get some form of STEM into their classrooms as fast as possible. Everyone is hopeful that a healthy population of STEMs will bring much needed balance to the educational ecosystem. It seems that new species of STEM are being discovered daily. The latest domestic STEM species is commonly called STEAM (Stemus Artus) and is named for its affinity for incorporating the arts into its diet. So what’s so special about Stemus amazonicus? Until recently, most educators didn’t believe that the Amazon had any connection to their classrooms and curricula. Sure, all those monkeys are super cute and the frogs really are fabulous, but in this age of high stakes testing, the Common Core, and Next Generation Science Standards, the common misconception was that the Amazon had no relevance to 21st century instruction. STEMazon (Stemus amazonicus) is about to change all that! All puns and humor aside, here at Amazon Workshops, our goal is to make the Amazon relevant in today’s classrooms. While we firmly believe that teaching about the Amazon’s amazing flora, fauna, and indigenous cultures has merit and value, we also realize that in order to make these topics relevant in today’s educational ecosystem, we need a new approach. As a result, we are investigating how Amazon themes and topics can be used as focal points for STEM (Science, Technology, Engineering, and Math) lessons, activities, and explorations. It is critical that today’s students develop the knowledge, attitudes, and awareness needed to understand the Amazon’s importance as a shared global resource. It is equally important that they develop the skills necessary to actively participate in its protection. Incorporating the principles of high quality STEM education into our toolkit is one way to do this. 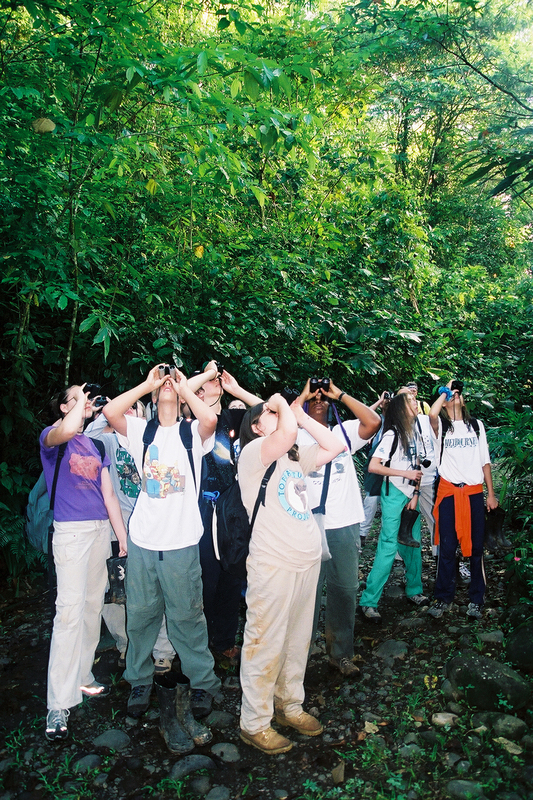 Our 2013 Educator Academy in the Amazon will provide expedition members the once-in-a-lifetime opportunity to hunt for STEMazon in its native habitat! Our goal is to identify not only its physical attributes but to understand its natural history; learn how it interacts the inhabitants of today’s educational ecosystem; and explore its potential for use in US classrooms. JOIN THE CONVERSATION! Are you incorporating STEM into your classroom instruction? How might you use Amazon topics and themes as focal points for STEM instruction? Have an idea for a “STEMazon” mascot? Give us your ideas! ← What if you are a 3rd grader who desperately wants to visit a rainforest?